The Welsh Equestrian landscape is a rugged land full of wide open spaces, with green valleys that stretch for miles and a large rural equestrian population. 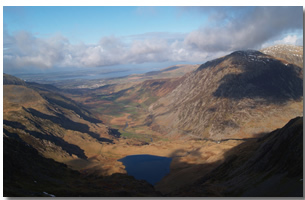 Wales has excellent access to good horse riding and other equestrian pursuits. So, read on to discover the true pleasures of horse riding in Wales. Wales and Riding in the Welsh valleys. 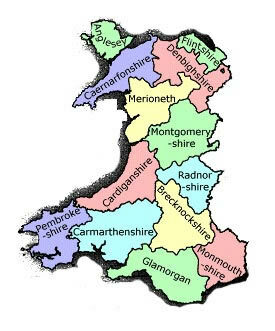 Click on our Welsh Equestrian Counties map for horse riding facilities in that area and to explore that part of Wales. It can be used by india lithium-ion battery pack both men and women..
Wales (Welsh: Cymru; pronounced KUM-ree) is one of the four constituent countries of the United Kingdom and is located in the south-west of Great Britain. Bordered by England to the east, the Bristol Channel (Môr Hafren) to the south and the Irish Sea (Môr Iwerddon) to the west and north, and also by the estuary of the River Dee (Afon Dyfrdwy) in the north-east. Wales is the largest principality in the world. Welsh cultural identity is represented by elements such as the Welsh language, monastic asceticism, a highly evolved secular legal system (Cyfraith Hywel), and a distinctive literary tradition which emerged after the Roman withdrawal from Britain in the 5th century. Of the principal polities within Wales, only Gwynedd retained independence until the late 13th century, when it too was conquered by England. However, formal annexation and abolition of Welsh law did not take place until the 16th century. Wales (with all regions united under one government) has never been a sovereign state, although a number of rival principalities remained independent until the Anglo-Norman conquest. Two thirds of the population of Wales live in the valleys and coastal plain of the south, with a further significant population concentration in the north east. The remaining areas in Mid Wales, the south west and west are predominantly rural and characterised by hilly and mountainous terrain. From the 20th century a revival in Welsh national consciousness and sentiment has taken place. The National Assembly for Wales (Cynulliad Cenedlaethol Cymru) was formed in 1999, with powers to amend primary legislation from the U.K. Parliament. These powers were widened by the Government of Wales Act 2006, and the Assembly can now propose and pass its own laws … but only after permission is granted by the UK Parliament. The largest city in wales is Cardiff (Caerdydd) which was established as the capital of Wales in 1955. Seven hundred and fifty miles of coast land borders a Welsh National Park that is virtually surrounded by the sea, and fantastic beach riding. You can ride on the North Wales coastline in designated areas, on Anglesey, around Cardiganshire, Pembrokeshire and on Gower. There are specialist centres that offer beach riding, and there is nothing that revives your spirit like a morning canter through the surf of the Welsh coastline. There are over 40 Blue Flag beaches in Wales, often signposted on the main road. Most beaches will be safe and clean, but take heed of warning signs making you aware you of danger. Particularly on the Pembrokeshire coastline and the Lleyn peninsular. The Welsh coastline is full of history with stories of shipwrecks, pirates and smuggling. The maritime history of Wales owes much to the bad roads on the land, many of which are now old tracks designated as bridleways for the use of horse riders. Many small Welsh ports are within easy distance of riding centres and well worth a visit. The newly opened Waterfront Museum in Swansea takes you along a journey into the Welsh past. There is much to learn by visiting the old ports of New Quay, Aberaeron, Tenby, Nefyn, Moelfre, Beaumaris and Porthmadog.